Selling eLearning courses online is big business. Most of our customers that sell their carefully crafted courses do so through the storefront found in their LearnUpon portal. This webpage is the public face of their eLearning programs. But what if you use another storefront already? In that case, you can integrate LearnUpon with eCommerce platforms like Shopify, and others. In this post, we run through how you can set up our Shopify integration, and start selling courses today. With hundreds of thousands of businesses and billions in sales, Shopify is one of the most popular eCommerce platforms available. Shopify lets you set up highly customizable online storefronts quickly and easily. It handles all transactions and makes it easy for you to stay in contact with your customers. By integrating Shopify with your LearnUpon portal, you can display your LearnUpon courses on your Shopify marketplace. And when a purchase is made the buyer will be seamlessly passed through to LearnUpon instantly. It only takes a few minutes to integrate LearnUpon with Shopify. And then you’re ready to provide a straightforward and secure experience, selling your online courses to customers all over the world. You can also connect your store to Google Analytics to track how your visitors behave and convert. And you can use our SEO features to create keywords, meta tags and descriptions that improve your store’s rankings in search engines like Google. Shopify isn’t enabled by default in LearnUpon. If you want to connect your Shopify account, contact our support team. Once enabled, click on the Settings tab and then eCommerce Settings. You’ll find Shopify within the payment gateways page. To integrate with Shopify you’ll have to disconnect all other payment gateways such as PayPal, Stripe, or Authorize.net first. All you need to do now is enter your Shopify store details. Then copy the script that appears (you’ll need this later). In your Shopify account click on ‘apps’ on the left-hand side, and you’ll see text saying “Manage private apps” (marked with an arrow in the image below). LearnUpon is a private app in Shopify terms, so you won’t find it in their app store. Name the app something appropriate like ‘LearnUpon’ or ‘LMS’, and hit save to create. As you can see above, this app now appears in the apps menu and can be managed from there. You then need to go to settings, and ‘checkout’. Scroll down to ‘order processing’ and you’ll find a text box where you can paste in the script you got from LearnUpon earlier. Then you’re done. The integration is set up. It’s that easy! The code you pasted will automatically enroll learners in LearnUpon who have purchased an online course in your Shopify storefront. Once you have Shopify configured, some changes will be made to LearnUpon’s default eCommerce settings. For example, the LearnUpon store itself will no longer operate. Store URLs will redirect customers to your Shopify storefront instead. Shopify is all about selling products. These products may be physical items such as shoes or t-shirts, or they can be non-physical ones such as eLearning courses. You’ll need to link these products in Shopify to your courses in LearnUpon. When you create a product in Shopify it will appear in LearnUpon, ready to be paired with sellable courses. In LearnUpon, go to the edit screen of a course. Click on the Sales tab and select the Shopify store item related to the course. In this example, ‘Introduction to Health & Safety Training’ is the name our Shopify store item. Click on it to pair it with the course in LearnUpon. The course will now be placed on your Shopify storefront. Now that you have connected your Shopify storefront to your LearnUpon portal, what is the customer’s experience? You’ll be glad to know that it’s really simple. Once a customer chooses to purchase a course on your storefront, the transaction is handled by Shopify. After the purchase, the learner is shown a ‘Thank You’ page. They are then redirected to their LearnUpon dashboard. If a user already has a LearnUpon account, they’ll be automatically logged in. 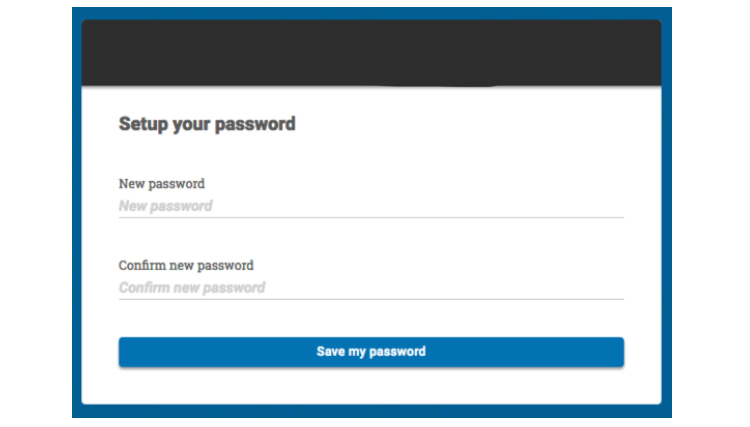 If the user doesn’t have a LearnUpon account, they will be prompted to create a new password when they log in for the first time. And that’s it! You’re ready to sell online courses with LearnUpon and Shopify. For even more top tips read, The Complete Guide to Selling Courses with LearnUpon. Train your customers with LearnUpon, the powerful learning management system that has the features and a knowledgeable team you need to achieve training success.